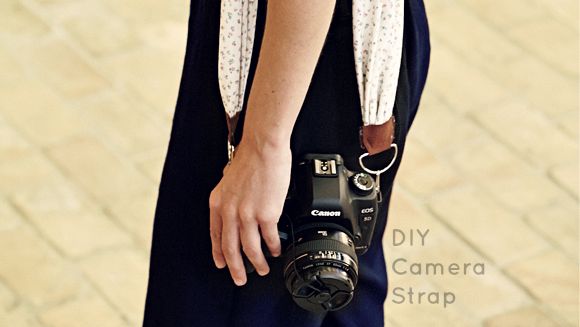 If you're tired of the same, generic strap that comes with your camera, here's a quick fix. 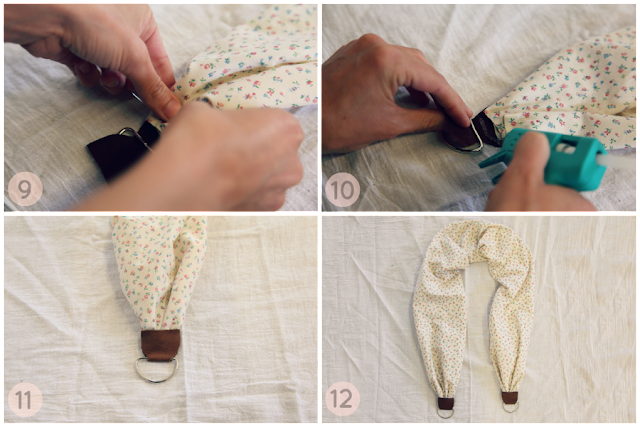 I found this easy peasy tutorial, over at Free People, on how you can make your own camera strap from, say, a scarf or any fabric with your favorite pattern on it! A nice way of spicing up the boring black strap while at the same time, showing a bit of your personality and creativity. There's tons of ways you can personalize your camera strap. There's the use of metal chains, woven fabric and even bits of leather from your old boots! I liked this one because this is the most uncomplicated (haha) process and it doesn't involve any kind of sewing (hurrah). 1. 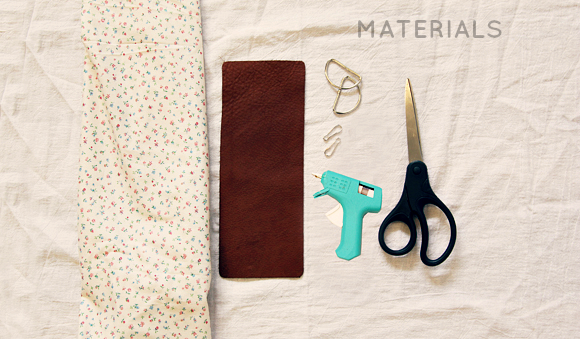 Fold your leather as pictured. 4. Cut out the shape, making sure that the shape is connected in the middle, right where the fold is. You will need two of these, for each end of the strap. 5. 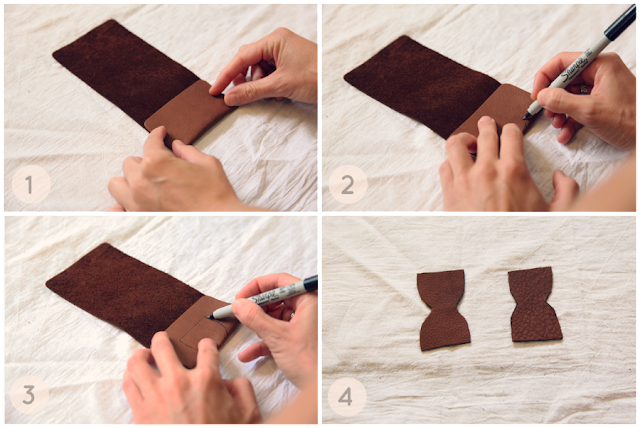 Gather the scarf ends slightly together to create a narrow width that will fit into the leather shape. 6. Place the gathered ends on the leather to see if the fit in place. Place the D-ring so the longest side is married to the fold. 7. 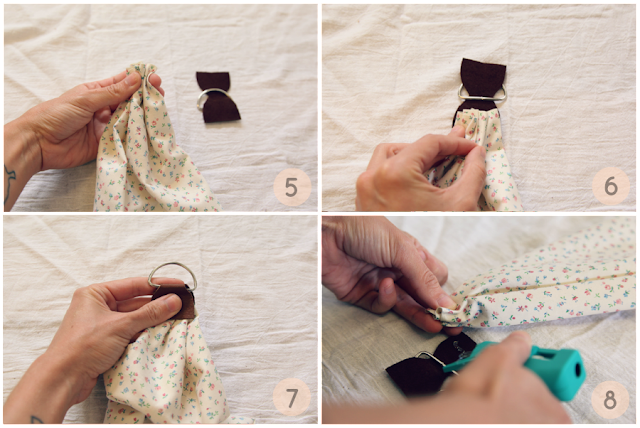 Fold over to make sure everything fits together well. 8. With the hot glue gun, glue the center of the leather patch. 9. Place the gathered end of the fabric down to secure. 11. Press the two sides together, trapping the gathered end inside like a sandwich. 12. Repeat the same steps on the other end. 13. Attach the lanyard hooks to each D loop to secure the strap to the camera. 14. And finally, place onto your camera and see the transformation! You're now ready to shoot away! If you're a master crafter, here are 11 other suggestions on how to personalize your camera straps. Where can I buy leather here in Manila?